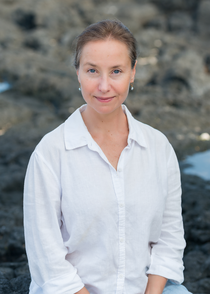 Dr. Nancy Fitzgerald specializes in various traditional and low force adjusting techniques and is an Active Release Technique specialist. An honors graduate of Western States Chiropractic College, she is certified in Active Release Techniques(ART), multiple Craniosacral Therapies, Biomechanics, Network Chiropractic and chiropractic pediatrics. A licensed massage therapist before becoming a chiropractor, she has been doing body work for over 25 years. 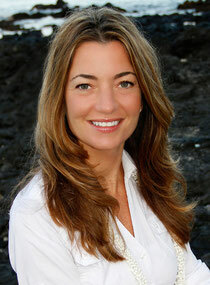 She regularly works on world-class triathletes and paddlers throughout the year at her Kona based office. She was especially touched by her volunteer work in Haiti where she worked in the children's hospital, working on children with injuries due to the 2010 earthquake. Dr. Nancy thoroughly enjoys cycling, running, yoga and swimming. Dancing since she was a child, she continues her true passion with NIA and improvisational dance classes. Dr. Kim Turnbull moved from her twenty year career as a Registered Nurse to a Licensed Chiropractor for one simple reason - her neck hurt! After 2 years of unsuccessful allopathic medical treatments for an injury related to a fall, Kim was persuaded by a friend to see a Chiropractor. Her relief was instantaneous! Kim graduated from Western States Chiropractic College and has been in practice for the past ten years. 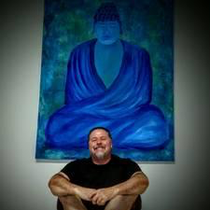 She utilizes traditional and low force adjusting techniques and is certified in ART (active release techniques), Craniosacral Therapies, Graston technique and frequency specific micro current. Kim enjoys working with a wide range of clients, including extreme athletes. Kim's passion for animals has led her to volunteer for Advo-Cats and she currently performs numerous kitten rescues of her own. When not in the office, Kim also enjoys yoga, Pilates and snorkeling. Aiko enjoys each moment she possibly can by staying present and staying in love. She is passionate about being creative (whether its painting, jewelry making, writing or a new recipe) and playing. Yes, Aiko firmly believes play time and naps are not just for small children! Offering a unique blend of modalities from cranial sacral to trigger point release, Aiko enjoys working with a wide-range of clients with various needs. Aiko’s objective is to listen to the individual clients needs and provide sessions that are gentle, relaxing and deeply therapeutic.